Merchant Arne Lundberg was born in Gothenburg on December 23, 1910. In 1929, he secured a position with the company Malmsten & Bergvall, where he subsequently became a partner. In 1965, he was appointed CEO of AB Fortia, the parent company of Pharmacia AB. He also sat on a number of boards, including Adaco AB, where he was chairman, Pharmacia AB, Säfveåns AB, Återförsäkrings AB Skandia and the Gothenburg Chamber of Commerce. Arne Lundberg died in 1973. To honour the memory of Arne Lundberg, his wife, IngaBritt Lundberg, donated the Foundation capital by deed of gift on September 28, 1982. In 1995, IngaBritt Lundberg was made an Honorary Doctor of Medicine at Sahlgrenska Academy. 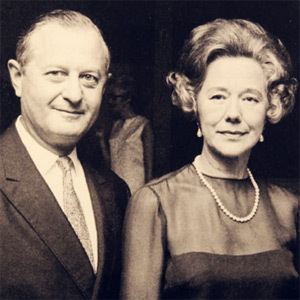 She died on June 6, 1999 and in her will she bequeathed further capital for the Foundation. The Foundation has its registered office in Gothenburg. 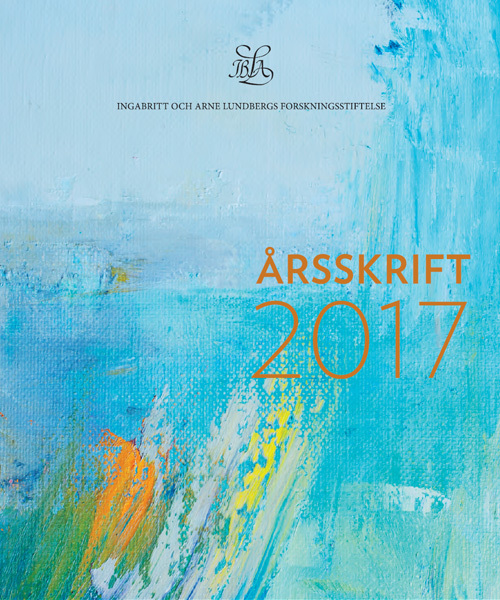 Here you can download a PDF file (in Swedish) for further reading of the interesting history behind Inga Britt and Arne Lundberg Research Foundation. As a rule, the Foundation’s grants over the years have been awarded to major projects that are considered to be essential to the future development of the areas for which the Foundation was established. Normally, grants are not awarded for project funding. Priority is given to grants for the purchase of instruments, aids and equipment. Priority is given to research within the Gothenburg region. In order to pursue the purpose of the Foundation, grants to 17 applicants were awarded for 2017 in a total sum of SEK 33.200.000. Between 1983 and 2017 the Foundation has awarded 496 grants amounting to a total sum of approximately SEK 776.500.000. The Annual Report can be downloaded as a PDF file or can be ordered in printed form.